The new Hugs and Prayers set, created by Nina Brackett, was designed with sentiments that make for beautiful and touching sympathy cards. 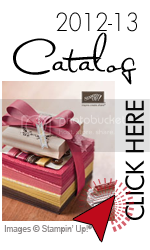 While this set was created for that purpose, the images can also be used for other projects outside of sympathy cards. I created a scrapbook pages using these beautiful images and a photo of my daughter (photo courtesy of Family Room Studio). One of the things that I really love about this set is that many of the images have lined and solid mirror images of each other. An example is the lined image of the flowers that I embossed on the rose colored cardstock and the solid image I embossed on the Sweet Corn cardstock. You can use the images separately or you can stamp the lined image in a darker color over the solid image for a 2-step effect. For my page, I embossed all of my images with white embossing powder as I love the contrast it gives. I used a rose cardstock for my base and added Sweet Corn cardstock for my mat and Vibrant Violet for my embellishments and journaling mat. The white swirls in the upper corner are from the bottom of one of the images. I just made sure to stamp only the bottom of the image along my corners to get the swirly flourished look. I added a length of royal purple ribbon with white brads along the bottom of my page. My journaling was done with a Black glaze pen, which is my favorite for journaling. I've had the pictures from our 2005 cruise to the Western Caribbean sitting in photo boxes for 5 years, just waiting to be put on pages. I can't believe I've let them sit there this long. It was definitely good timing for scrapping these pictures with the new GinaK release sets being debuted this week! I used both the Aloha and In Stitches sets for my scrapbook page and now I can say that I've officially started on those vacation pictures! I created a beach scene with the palm tree and sand images from the Aloha set along the bottom of my page using Rich Cocoa ink. The sand image gives a really cool textured look, especially on Kraft cardstock. I used Koh-i-noor pencils to add color and detail to my scene. I stamped a couple of the large flowers from the Aloha set on Kraft cardstock and used the Koh-i-noor pencils on those, as well, and trimmed them out with precision scissors. The flower border from the In Stitches set has the perfect tropical feel to it to make a great pairing with the Aloha set. I stamped the border with Rich Cocoa ink on top, bottom and in between my two pictures. I really like the separation it gave between the pictures and it didn't take much at all. My title and journaling were done with a Black glaze pen. I recently had the pleasure of taking part in a Photo Swap on the growing Soul Scrappers community (an inspiring community of amazing scrapbookers that I started in January of this year). A fellow scrapbooker and I traded photos. She lives in Australia and I live in Vermont. I found it fascinating that two women worlds away were working on pictures that meant a lot to both of us. Michelle sent me this photo of her adorable dog, Holly, when she was still a puppy. This is the page that I created for her. I used a light brown 12 x 12 textured page as my base. I added strips of patterned paper from the Razzleberry Lemonade Designer Series Paper to pop some color onto the page and give it a slightly feminine look for such a cute little girl puppy. I used the "D is for Dog" stamp set with Basic Brown ink to add the paw prints and bones for my borders. I also stamped the The dog image, as well as the two sentiments, are all from this set. The dog was stamped onto cardstock and cut out to adhere to the page. I used a black glaze pen to write the doggy's name across the pink paper. And I'd love to have you join us over at Soul Scrappers! Come check us out and see what we're all about. 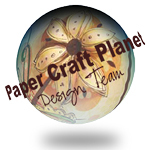 We have ongoing challenges, prizes and inspiration.....make some new scrapbooking friends, too! I really enjoy using stamps in my scrapbooks. Besides the fact that I have so many options open to me, the next best thing I like about using stamps to scrapbook is that I never run out of them. Unlike stickers or store bought embellishments, I can use my stamps over and over again on my pages. Borders, titles, embellishments, etc. SO many uses for them and I can get SO many uses out of them! For my page, I used the new set from Theresa Momber: Hope Grows. Just like the page I did yesterday, I used one of the sentiments from the Hope Grows set to incorporate into my journaling. In this instance, I used it as the title for my page. I started with a light yellow 12x12 page and cut 3 of my photos down to 5.5 x 4 inches so that I could stretch them across my page and still leave room on top for a full 4 x 6 photo. I used a self adhesive border to go on top and bottom of my photos. This created a faux mat. I stamped my images onto three of the new cardstocks that are debuting with this release: Grass Green, Sweet Mango and Turquoise Sea. I stamped with Versamark ink and embossed with clear embossing powder, then trimmed my images out with precision tip scissors. I used a blue cardstock sticker for a mat under the Sweet Mango butterfly. The sentiment was stamped with black ink. My journaling was done with a Black glaze pen. Please make plans to attend our Release party this Thursday night, May 27th from 7-10 central time which will be held at StampTV. There will be contest questions, challenges, samples from several designers and lots of chatter all leading up to 10pm central, when all the new products and stamp sets previewed this week on our blogs become available online through GinaK Designs store! Are you up for some sneak peeks today? At GinaK, the design team has been getting inky and creating with the brand new sets that are debuting at this week's release party on Thursday night at StampTV. Today's sneak peek is the new Botanicals set by GinaK. You all know what a sucker I am for silhouette type images. There was no question about whether or not I needed this set. It wasn't about want, but about NEED. *wink* There are so many cool techniques that can be done with silhouette style images. Even something so simple as embossing them onto patterned paper, like I did on this scrapbook page, gives a really fantastic effect. I stamped the flower images from the Botanicals set across the bottom of a piece of 12 x 12 patterned paper with Versamark ink and then embossed them with a Vintage Verdigris embossing powder. I used some of the ribbon from the new StampTV kit (which we'll be sneak-peeking Tuesday night on our blogs) and rubbed a light brown ink pad over it to give it more of a vintage look so that it would coordinate better with my patterned paper. My photo (courtesy of Family Room Studio - taken in May 2007)is a 5x7 photo (which I love using for single photos on 12x12 pages). I cut a mat of Green Grass cardstock and swiped the edges with light brown ink since the green was a little too bright for my layout. This is an easy technique to tone down your colors and also to give an aged and distressed appearance to your cardstock or even on patterned papers. Earth Month Scrapbooking challenge! GO GREEN! Ready for a challenge in honor of Earth Month? I've got one for you! I challenged myself to make a layout using some recycled items and I love how this came out. Now I'm challenging you over on Soul Scrappers to create a layout of your own with recycled items. What do you have hanging around the house that could go on a layout other than the scrapbooking supplies you have? What can you re-use on your page that would have otherwise been tossed out? For my page, I used leftover fish net, some bottle caps, sea glass, some sand (mixed with a little bit of glitter) and letters cut from magazine pages to put on my bottle caps. I also used the new GinaK set, Gifts from the Sea (one of my new favorite shell sets), to stamp the shell images and watercolor them. GO GREEN with your layout to celebrate Earth Month! There's two weeks to do your layout and I'll pick a winner from the entries and send a grab bag of scrapbooking supplies to winner! Have you checked out Soul Scrappers yet? It's a growing scrapbooking community that started 3 months ago that focuses on using scrapbooking to tell our stories - through photos, journaling and creativity. It's a free and hopping place to be. We'd love to have you join us! "The Journaling 101 Online Scrapbook Course" starts May 10th. Register by April 26th and get a FREE Stampin' Mama Artwork Inspriation CD! This course is sure to inspire, challenge and teach you, but you're also sure to come away from this course with a confidence that you CAN effectively and artistically share your stories in your scrapbook albums. Through the interactive website you'll be learning on, you'll also be sure to come away with some new found friends. One of our favorite places to visit on vacation are places that are close to the ocean. We enjoy the calm, the quiet, the peacefulness. The sound of the waves lapping against the shore, the seagulls flying overhead, the perfect harmony of green, blue and brown coming together in the shoreline....it's some place that I could stay forever. When Melanie Muenchinger came out with her new "Gifts from the Sea" set, I knew that it would be a wonderful addition to so many of the beach pictures that I need to scrapbook. Pictures from Florida, the Caribbean, Nova Scotia, Mexico and more. I can see myself using this set a lot for my scrapbook pages. I created a 12 x 12 scrapbook page using 3 pictures from our 2007 trip to Florida to visit my grandmother with the kids. Even though Zach had been to the ocean in Nova Scotia and Rhode Island, he insisted that he had to taste the salty ocean water in Florida to find out if it was different. These pictures are so precious to me and remind me of the innocence of childhood that I hope my children will always retain, even as they grow into adults. One of the greetings in the set was perfect for this page - "Don't grow up too quickly, lest you forget how much you love the beach." I tore paper for the scene on the bottom and used the sand texture stamp in the set to add some texture to my Kraft cardstock. I also used the sand stamp to add some texture under the shell next to the greeting under the pictures. I stamped some shells on white cardstock with a Rich Cocoa ink pad and added color to them by pressing my ink pads against their lids and using a paintbrush and water to pick up some color to paint with. I created some sand with ink watercolors on top of the sand texture image under the quote. Even the seagulls come with the "Gifts of the Sea" set and there's two different sizes to choose from. I used a Black Glaze pen for my journaling. I've always wanted to do a photo swap but never had the opportunity....until just recently. My friend, Shazza, put together a swap over at my scrapbooking community, Soul Scrappers, and we all had so much fun working with other people's photos. Sure, I've scrapbooked other people's photos in albums that I've done as gifts or for commissioned scrapbooks, but I've never had a page done by someone else of MY pictures. It was such a great experience to see what someone else did with my pictures. I was thrilled with the way that Amanda, my swap partner, scrapbooked some of my favorite photos of my daughter and I.
Amanda sent me some photos of her adorable 4 year old son, Connor. This is the page that I created for her. I used a 12 x 12 page so that I could use a 5 x 7 and 4 x 6 photos. I stamped a background on a piece of Night of Navy cardstock with the star image from the Picture It stamp set and white craft ink. I stamped some white stars on Rocket Red cardstock and Silver Lining cardstock and cut them out. I mounted the photos on Silver Linking and Rocket Red cardstock and placed some stars around the corners and popped the silver starts up on pop-dots. The ribbon is from one of the past StampTV kits that GinaK offered and worked great with my color scheme. The title was done by stamping a star on Silver Lining cardstock and cutting around it. I used a Black glaze pen for the words. The frames were stamped with an image from the Organize It stamp set with white ink on Rocket Red cardstock. I used one of the half circles (meant for creating tabs) with white ink to create a smile and used a white gel pen for the words and little images.